THE DIGNIFIED SELF is an initiative and movement for more mindfulness in the technology age consisting of founder and CEO Lilian Güntsche, partner Heike Scholz, and several amazing supporters in the back as well as cooperation partners from the technology and media industry as well as the mindfulness scene that felt inspired to support the initiative around THE DIGNIFIED SELF. After initially starting her career with a major record label in the music business, Lilian has been working in the digital / mobile industry for over a decade on all sides of the industry. 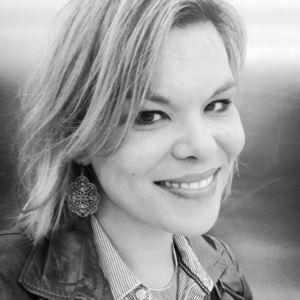 She has been successfully running her own company Güntsche Concepts for several years, and is supporting leading brands and agencies in the areas of digital strategy and mobile consultancy. Now, Lilian is establishing an initiative and movement, called THE DIGNIFIED SELF. After preaching “always-on“ for many years, Lilian believes the time has arrived to cultivate an always-me culture and human-first approach, instead of a technology first perspective only. THE DIGNIFIED SELF stands for more mindfulness in our technology accelerated world and delivers a format for likeminded people where The quantified self meets the dignified self, yogi meets workaholic and mindfulness meets technology. Besides her management and entrepreneur activities, Lilian is a respected advisor at several mobile industry events and engaged as a singer, speaker and author. The jingle of THE DIGNIFIED SELF has been written and performed by the founder and her first book will be released in 2016 with the major publishing house, Springer Gabler. Lilian is passionate about music, technology, mindfulness, communication and water. She is 35 years old and lives with 7 Smartphones, 4 Mac-Computers and 2 cats (that she also calls her Zen-masters) at a quiet lake in Berlin. 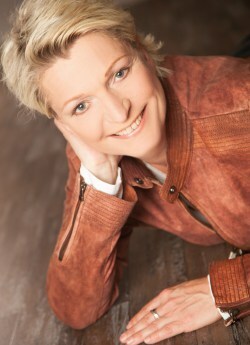 Heike Scholz is a founder of mobile zeitgeist and partner of THE DIGNIFIED SELF. During her more than 25 occupational years she has worked as a strategy adviser, marketing manager, start-up coach, author and publisher and, besides, has always operated close to innovative technologies. More Partners & Supporters of THE DIGNIFIED SELF please refer to Partners. If you feel #DIGNIFIED as well and would like to support us establishing more mindfulness in the technology age, please contact us, share your own DIGNIFIED Moment and/or register for our Newsletter. We are looking forward to the exchange with you and thank you for your support. More about the Vision of THE DIGNIFIED SELF and Downloads in the Press area.